Arts and Events 100 Italian Cities, now at its XXII edition, is the most important and consolidated meeting event between suppliers and demand of Italian cultural and artistic tourism. The event, promoted by Confesercenti with the support of ENIT and Emilia Romagna Tourist Board, will be held in Bologna from the 18th to the 20th of May 2018. As usual, the heart of the event will be the international Workshop that will see around 70 specialized, either foreign or Italian, Tour Operators meet on pre-scheduled appointments hundreds of the most specialized Italian tourism offer representatives. As a side event, Tour Operators will be involved in educational tours aimed at the exploration of attractions and touristic locations of the region. Seminars and conferences on many aspects of tourism will complete the schedule of the event and will be aimed at the promotion of the “art and culture” product of our nation, focusing during this edition more attention on Italian food and wine and traditional dishes. – Around 8000 Sellers from all Italian regions attended these Workshops. – More than 52 thousands commercial contacts have been established, for an estimated value of 21 millions Euros. 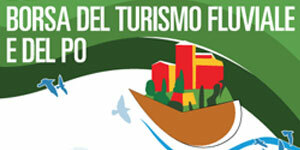 – More then 90 educational tours performed to let foreign Tour Operators better know and understand Italian territories. – Around 70 newspaper and television troupes followed each edition.